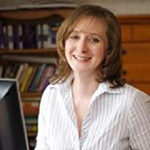 Please join me in welcoming the New York Times bestselling author Dana Marton to Conversations today! Dana is here to tell you about a fantastic sale! 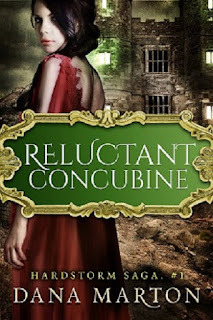 Normally $4.99, get her #1 bestselling fantasy romance RELUCTANT CONCUBINE for just 99¢ from February 24 - March 2, 2017. So be sure and check out the cover and blurb below! And don't forget to check out her bio too and get to know Dana Marton. To escape punishment, Tera, a maiden healer sold to barbarians must hide the truth: she has not yet come into her healing powers. Born into a much gentler world, she struggles to survive in a land of savage warlords and their cruel concubines. When ancient prophecies begin to come to pass, can the healer-slave save the realm and awaken the High Lord’s heart? 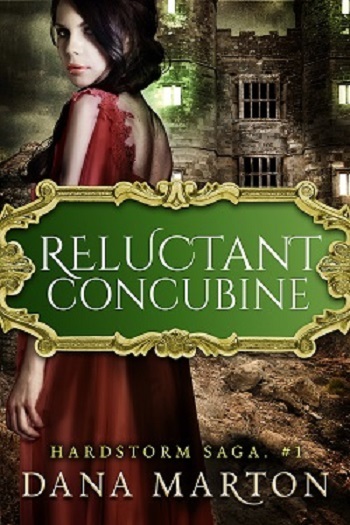 Download RELUCTANT CONCUBINE for only 99¢ while you can! New York Times bestselling author Dana Marton writes about smart, strong women and the alpha heroes they love, especially when those heroes are cops and military men. Luckily, her secret research source is always close by—her husband has served in the US Army, has been an EMT, and a fireman, a hunter, a trapper, and a number of other things he won’t admit to in public. Dana’s small-town romantic suspense series set in Broslin Creek is based on her real life home in Pennsylvania, and has over one thousand positive reviews. Book one in the series, DEATHWATCH, is currently free. 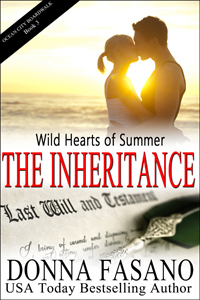 The Inheritance Book 11 is available now! Cathy Whitley’s two best friends, Sara and Heather, may have found the men of their dreams… and that’s all well and good for them. But that’s not going to happen to Cathy. She allowed love to catch her off-guard once and it drained her dry, emotionally and financially. She’ll never let it happen again. Ever. Brad Henderson has been chasing Cathy for years. He’s settled for their on-again-off-again, “friends with bennies” relationship for far longer than he expected. Attempting to swim through the rip currents surrounding her heart has left him weary. Then Brad inherits a business worth millions from billionaire Harold Hopewell. Hopewell had traveled the world and was touched by the stories of the people he met. In death, Hopewell is giving back, leaving an unusual will filled with life-altering bequests. Brad can’t believe his stroke of luck. Now Cathy will surely see him in a new light. Right? 70% off the retail price sale! I'm taking a quick break from working on the final edits forCOLD HARBOR to tell you about a fantastic 70% off the retail price deal on TEMPTING FATE 2, the completeFate with a Helping Hand series. For just 5 days, you can get the TEMPTING FATE 2 Boxed Set for just $4.95(That's 70% off the $16.95 retail price for all 5 stories.) TEMPTING FATE 2 contains 3 USA Today Bestselling stories and the New York Times Bestseller, THE KNIGHT AND MAGGIE'S BABY. Cara Carvalho and Devin Michaels were best friends one distant summer. No two people were more in sync about what they wanted in their lives. But fate and their own inner drive forced them apart. When Cara’s mom finds a marriage proposal on the back of an old card, she decides to give love and fate a hand by reuniting Cara and Devin for Cara's 35th birthday to see if their love will reignite. Despite having more money than the Queen, Jonah Wallace knows what it’s like to grow up without love. Now his grandfather gives fate a little nudge by insisting he take a wife before he can inherit. Coffee shop owner, Maggie Bonelli, is pregnant and the baby’s dad is AWOL. When Jonah proposes marriage, she accepts. But can they keep things strictly business? Or will fate intervene? Sometimes fate needs a helping hand...Single mother, Lauren Alexander, is shocked when her daughter asks Santa Claus for a daddy. She's struggled to provide for Kristen alone. But fulfilling Kristen's Christmas wish is a tall order. Kyle Preston, a.k.a, Santa, knows what it's like to be alone. He's determined to give Lauren and Kristen the best Christmas ever. That includes making them his family! A little thing called desperation had Zoey Preston under the gun. She had two choices, find a job that would help pay enough for her to stay in Boston...or face moving back to the country to a house full of family and various animals. The last thing on her mind was love...until she meets the devastatingly handsome surgeon Marcus Drake. He's like her lucky charm. He's nothing like any of the doctors she's ever met. He drives a Harley and has a thing for Irish music. Too bad she's leaving town. Hard work never bothered Marcus until the night he returned home after a bad day and realized there was nothing there for him. At a crossroad in his life, he decides it's time to make a change. Then he meets Zoey Preston. The green-eyed girl who can't stand the sight of blood is nothing like the woman he'd imagined would one day be his wife. But he soon realizes, she's is everything he wants...for life. Order TEMPTING FATE 2 Boxed Set for only $4.95 HERE! Enter to get 60 Free Romance Novels and a chance to win a gift card! Forget the icy cold of February and warm your toes with these romances that set the heart aflame! Valentine's is in the dead of winter to remind us that love is really all around us, even as brutal Father Winter bears down on us all. So let's lock ourselves inside and turn up the love that our hearts feel to melt that icy outside with our tales of happy ever after. Winter might be here, but these novels will make you want to stay inside. Over 60 Novels to tempt you! And enter to win a gift card!